Then early this year the proposals were signed off by the Council who went ahead and cut near to 50 percent, almost twice what was proposed, after finding what it described as “efficiency savings”. Now the cuts are starting to bite and services across the region have been scaled back leaving many areas effectively cut off. Losing a bus service sends shockwaves across any community. Whether young or old, employed or jobless, a lack of public transport can plunge people into a life of isolation, stifle educational attainment and destroy employment opportunities. This is made worse when vital bus services are cut without appropriate prior warning as seems to have happened in areas of Swaledale and Wensleydale. Local Authorities are expected to be clear and transparent at all times especially when undertaking such sensitive reviews into bus subsidy, sadly for the people of Swaledale and Wensleydale this does not appear to have happened with some vital bus routes. Elsewhere in North Yorkshire, the recent news of the cherished Pennine Motor Company going out of business after 88 years of serving the community was terrible, not just for the local residents affected but for the wider bus industry, especially smaller operators. The reason cited by company secretary Maurice Simpson was because North Yorkshire County Council has cut its reimbursement for concessionary travel by a fifth. This leaves smaller companies that operate in predominantly rural areas seriously out of pocket as a large proportion of their passengers are pensioners with bus passes. The chronic underfunding of the concessionary pass scheme from Central Government has meant significant cuts to buses across England and Wales with the worst of the cuts hitting rural areas hardest. There have even been recent Parliamentary debates on the subject. Anne McIntosh MP for Thirsk and Malton secured a debate on rural bus services and concessionary travel. Her argument was that the legislation around concessionary travel should be changed to allow pensioners to contribute to their bus pass or fare. Our position is that encouraging pensioners to pay for their bus travel won’t solve the problem and will rouse resentment among concessionary pass holders. Instead, MPs like Anne McIntosh should be pushing for long term consistent support for bus services from national Government. 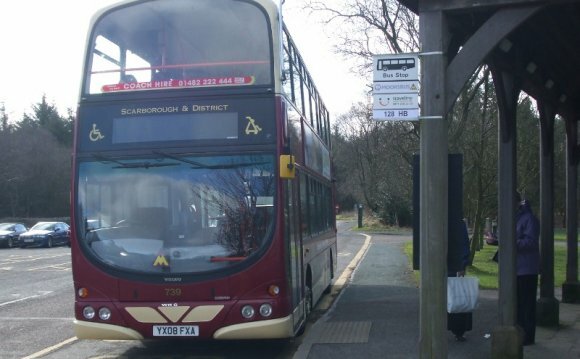 The key bus services run by Pennine Motor Services around Skipton and Settle have now stopped and local residents are now faced with an inadequate bus service with small minibuses which are unable to cope with the loadings. It is time for local and national Governments to work together to ensure that people in rural areas such as North Yorkshire are not cut off.